What set’s the Vivo faux horn traditional shaving set Muhle, apart from other set’s. Is this horn acrylic. Also the fact that It comes with a steel bowl Is such a great add on. 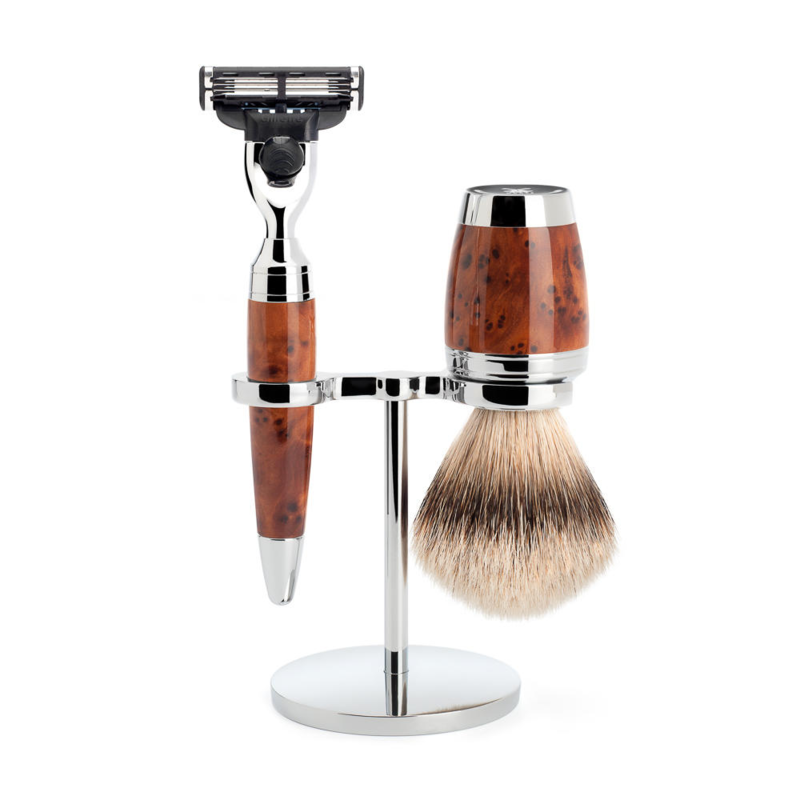 This Closed headed safety razor takes any double edged blades, It also comes with one free. But check out our blade range. It weighs 64 g to It’s 100 ml length so relatively light considering It Is a larger razor. Some prefer this, as a lot of safety razors especially metal ones are weighty for small sizes. This has a lighter traditional shaving touch. Also another preferable feature for some, Is that the hair Is black badger fiber. Making this set vegetarian friendly. Quite amazing that a set resembling horn so well could be acrylic, but the masters at Muhle really know there stuff. Polishing this fine set’s handles several times, In order to reveal the magical swirls and deep colours. The set does not contain a soap for the bowl, attached find a link for a Muhle shaving cream. Put a pea sized piece In the bowl, and whip It with a hot wet brush. 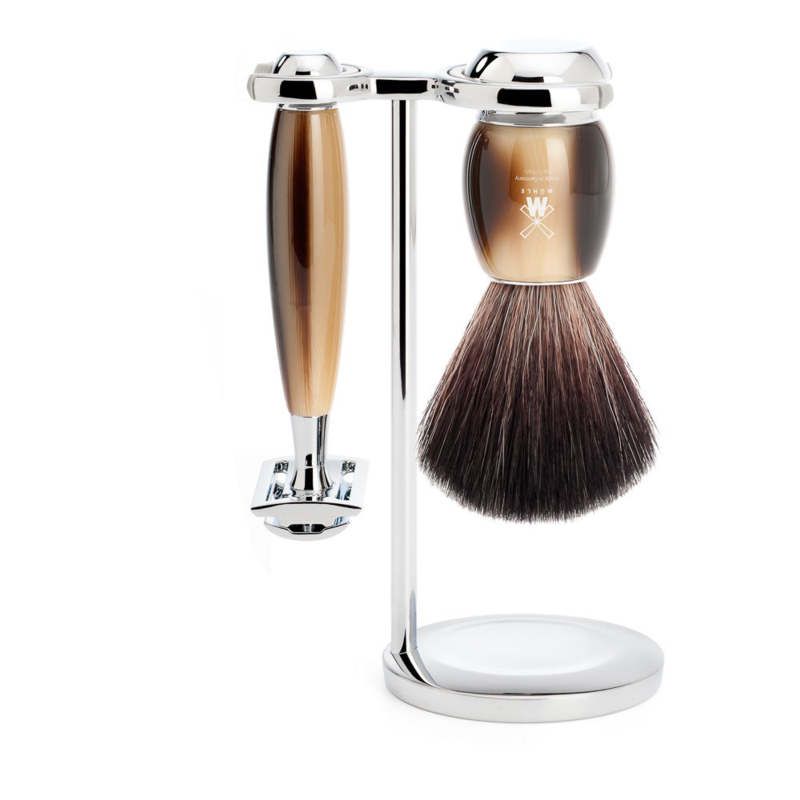 The Vivo faux horn traditional shaving set Muhle, Is a great product for It’s very reasonable price. 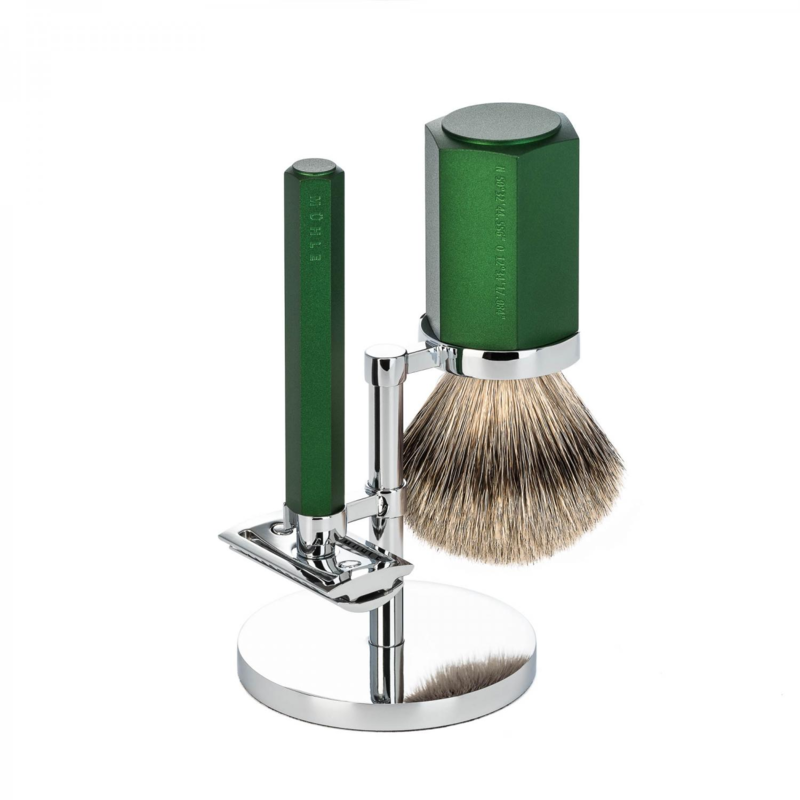 The metal used Is the Muhle traditional shaving companies, trade mark chrome plating. This gleaming metal will not rust and seems to be cleaned of any marks. To maintain this great set, you should Just rinse In cold water. 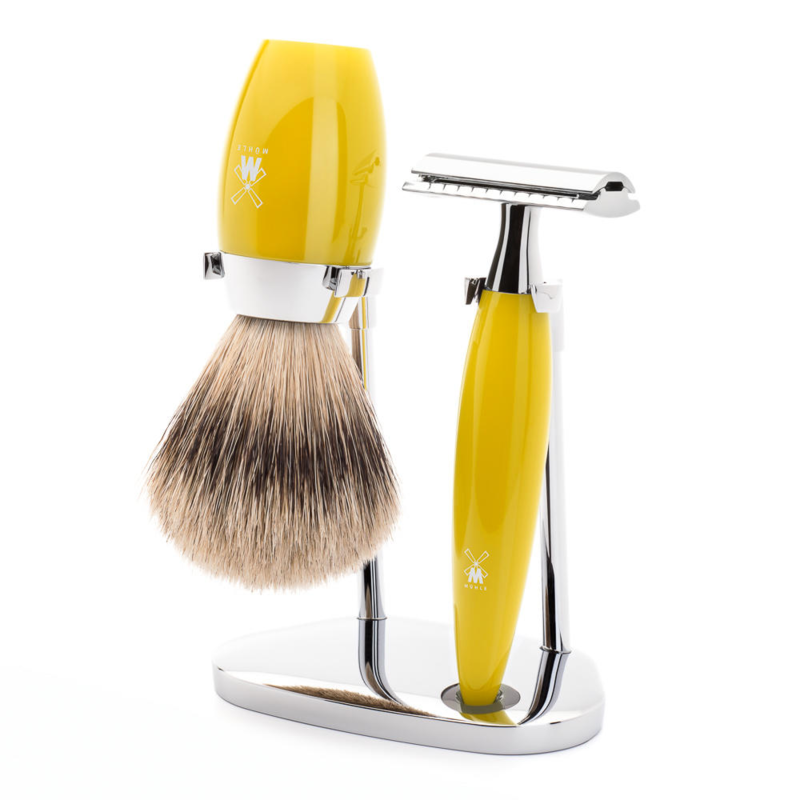 For any comprehensive shaving advice, please get In touch or maybe look at our blog. Where we have a great deal of spot on Information on traditional shaving. Also we will deliver this well priced set for free, If you reside In the U.K. Otherwise If you are overseas, we will send your products at a very fair freight price.